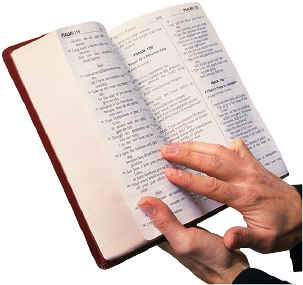 Bible - What We Believe about God's word, the holy scriptures. and a light for our path." The Bible IS True - GayChristian101.com encourages everyone to understand, believe and obey what Scripture teaches. We offer this Statement of Faith in the spirit of Christian love and humility, to help interested individuals understand our doctrinal beliefs. We recognize that Christians have liberty in Christ to disagree without being disagreeable. 1. In essential doctrinal beliefs we have Christian unity. "Endeavoring to keep the unity of the Spirit in the bond of peace. There is one Body and one Spirit... there is one Lord, one faith, one baptism, and one God and Father of us all..." Ephesians 4:3-6. 2. In non-essential doctrinal beliefs we have Christian diversity. 3. In all our beliefs we exercise Christian charity. "And though I have the gift of prophesy, and understand all mysteries, and all knowledge; and though I have all faith, so that I could remove mountains, and have not charity, I am nothing.” I Corinthians 13:2. Our doctrinal beliefs are built upon the firm foundation of Scripture, rightly divided. 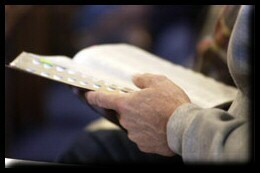 The Scriptures are teacher and judge of all that we believe and all that we do. Scripture corrects our conduct and our doctrine. For us as evangelical Christians, the Bible takes priority over doctrinal statements, church traditions and pronouncements of Church Councils and Church leaders. We believe all Christians should affirm supreme loyalty to the inspiration, trustworthiness, spiritual power and final authority of the Holy Scriptures. GayChristian101.com is convinced that a proper understanding of the Bible is essential if evangelical Christianity is to dramatically impact contemporary culture for Christ. Our goal as committed Christians is to believe and teach precisely what the Bible teaches about itself. We understand our responsibility to be thoroughly biblical in our view of the Bible and everything else we believe. We understand that Inspired Scripture is the essential and trustworthy record of God’s revelation of Himself to humanity. 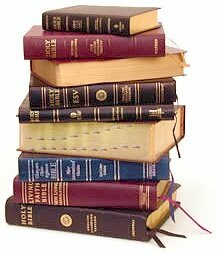 Because they were given by inspiration, all sixty-six books of the Old and New Testaments are the written word of God, our only infallible rule of faith and practice. 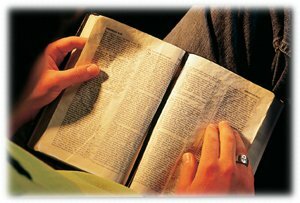 The Scriptures are to be interpreted according to their context and purpose and in reverent obedience to the Lord who speaks through them in living power." We clearly distinguish our Bi-ble believing position from non-evangelical approaches to Scripture. For example, when we affirm that "Inspired Scripture is the essential and trustworthy record of God’s revelation of Himself to mankind" we separate ourselves from neo-orthodoxy, which sees Scripture not as a revelation but only as a witness to the revelation that took place when God encountered his people throughout the course of history. 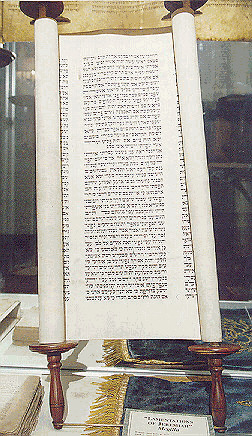 Similarly, our belief that "all sixty-six books of the Old and New Testaments are the written word of God, our only infallible rule of faith and practice" stands in sharp contrast to the neo-orthodox belief that the Bible only becomes the word of God when the Spirit brightens its truth for the eyes of a believer. The gap between our evangelical view of Scripture and the view of theological liberalism is even wider. Our confidence in the absolute trustworthiness of the facts of biblical history, including the historicity of Adam and Eve, the fall of humankind, in Adam, the virgin birth and miracles of Christ and His bodily resurrection, stands in dramatic contrast to liberal views, as do our doctrinal views about human sin, Christ's Substitutionary blood atonement, the necessity of receiving God's gift of salvation in this life and the eternal judgment of unbelievers who die in their sins. Our statement on the inspiration of both Old and New Testaments as the written Word of God puts a wide gulf between us and theological liberals who routinely state that the Bible is not the word of God but merely contains the word of God. Because we live in a Bible rejecting, post-Christian culture, we see a great need to be absolutely clear about the infallible authority of the Bible. We do lost and dying humanity no favor if we as evangelicals, avoid making an explicit statement about scripture. 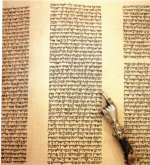 We recognize the importance of the historical and literary process by which God gave us the Scriptures. We understand that careful attention must be given to the historical and cultural context in which Scripture was given as we seek to understand what Scripture says to us today. We affirm that the Spirit of God used the abilities, circumstances and personalities of the human authors of Scripture in such a way that the words which result are truly the words of God. We believe the Bible is the absolutely reliable, trustworthy revelation of God, to every human being. If we have nothing but an unreliable book and an untrustworthy revelation from God, that is bad news, not good news and does little to offer hope to a lost and dying world. First, God, who is Himself Truth and speaks only the truth, has inspired Holy Scripture in order to reveal Himself to lost mankind through Jesus Christ as Creator, Lord, Redeemer and Judge. Holy Scripture is God's witness to Himself. Second, Holy Scripture, being God's own word, written by men guided by His Spirit, possesses infallible authority in all matters upon which it touches. It is to be believed, as God's instruction in all that it affirms, obeyed as God's command in all that it requires, embraced as God's pledge in all that it promises. Third, The Holy Spirit authenticates Scripture to us by His witness in believing hearts and opens our minds to understand the meaning of Scripture. Fourth, Because Scripture is verbally God-given, Scripture is without error in all it teaches, including what it states about the acts of God in creation and about chronology, geography, mathematics and history. Fifth, The final authority of Scripture is inescapably impaired if this view of Inerrancy is in any way limited or disregarded or made relative to a view of truth contrary to the Bible's own viewpoint. As Bible believing evangelicals, we understand that men and women are hopelessly lost without Jesus Christ. Based on the clear statements of Scripture, we believe that terrible judgment awaits all who reject Jesus as Lord and Savior. 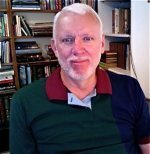 We at GayChristian101.com stand in fellowship with the human authors of scripture, the apostles, the reformers and evangelical missionaries down the centuries. We affirm the infallibility of the Bible but not our own infallibility. We have God's written word and the indwelling Holy Spirit of Truth to guide our steps and our thoughts. The Bible is our supreme and final authority on all matters of which it speaks. The Bible is our essential and infallible record of God's self-revelation, given by God to be “a lamp to our feet and a light to our path” Psalm 119:105. The Scriptures are a sacred revelation, written by holy men of old who spoke as they were moved by the Holy Ghost, II Peter 1:21. We understand that "all Scripture is given by inspiration of God, and is profitable for doctrine, for reproof, for correction, for instruction in righteousness" 2 Timothy 3:16. This understanding recognizes the personal responsibility of every professing Christian to read, believe, study and obey the Scriptures. All believers are exhorted to study the Scriptures and diligently apply scripture to their lives. 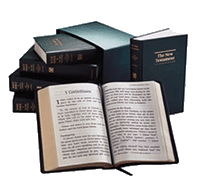 The Scriptures are the authoritative and normative guide for all Christian life, practice and doctrine. The Scriptures are completely sufficient and must not be superceded, added to or changed by later church tradition, extra-biblical reasoning or worldly wisdom. Every doctrinal formulation, whether creed, confession or theology, must pass this test. The Scriptures lead us to salvation through faith in Jesus Christ. Because they are given by God, the Scriptures are verbally inspired by God and fully worthy of our trust. The Bible is free of error in all it teaches, including geography, history, morals, science and spirituality. God the Holy Spirit supernaturally guided the writing of the Bible so that Scripture reflects the words, literary style and personality of its individual human authors, yet is still the Inerrant, Infallible words of God. The Holy Bible was given by inspiration and is God's utterly truthful revelation of Himself to man. Therefore, all Scripture is wonderfully true and trustworthy. It reveals the principles by which God judges us and therefore is and will remain, the true basis of Christian unity and the final authority by which all human conduct, creeds, and religious beliefs should be judged. All Scripture testifies of Christ who is Himself the focus of divine revelation. Exodus 24:4; Deuteronomy 4:1-2; 17:19; Joshua 8:34; Psalms 12:6-7, 19:7-10; 119:11,89,105,140; Isaiah 34:16; 40:8; Jeremiah 15:16; 36:1-32; Matthew 5:17-18; 22:29; Luke 21:33; 24:44-46; John 5:39; 16:13-15; 17:17; Acts 2:16ff. ; 17:11; Romans 15:4; 16:25-26; 2 Timothy 3:15-17; Hebrews 1:1-2; 4:12; 1 Peter 1:25; 2 Peter 1:19-21. Two short Videos about sharing our faith in Jesus. Return To GayChristian101 Home Page.